> 12 MONTHS MOT > FULL and COMPREHENSIVE SERVICE HISTORY > CLEAR HPI + MILEAGE CHECK. This is a 911 Turbo that comes with great Service History (14 Services), all of which is Porsche Main Dealer and Porsche Specialists. To best describe this car, its a genuine, honest well maintained example that has not been skimped on in terms of servicing. It comes with a folder full of Invoices, so whilst it may have over 120k on the clock, its probably been better maintained than a lot of lower mileage examples. 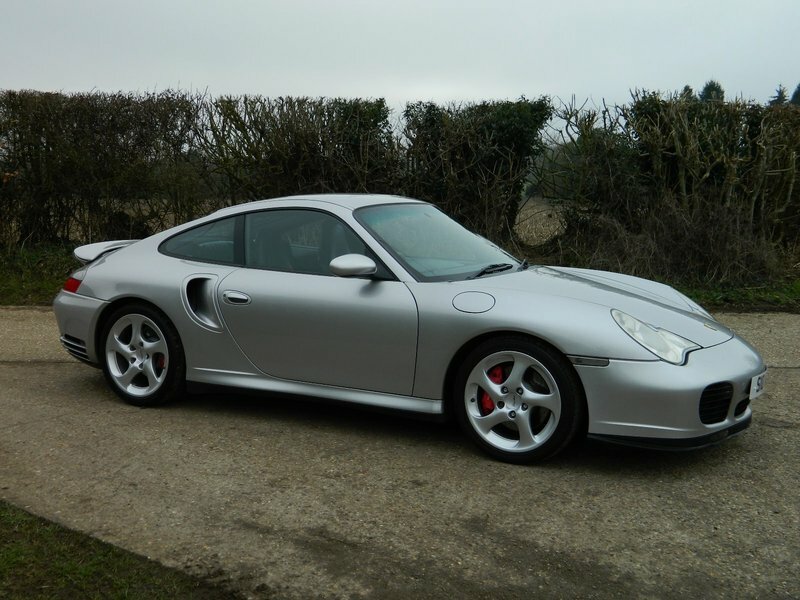 We personally know the owner of this car, so its not just a 911 that's been picked up out of an auction. Car is in excellent condition throughout with nice clean bodywork and interior. Specification includes Climate Control Air Con (blowing nice and cold), Full Heated Leather Electric Memory Comfort Seats, Xenon Headlights, Upgraded Kenwood Bluetooth Stereo with BOSE Speakers and Phone Prep, Auto Wipers, Electric Sunroof, Cruise Control, Remote Central Locking, On Board Computer, Steering Wheel mounted Gear Shifters, Multi Airbags, ABS, Traction Control, Alarm + Immobiliser. Car also comes with all Handbooks, 2 Sets of Keys and all Tools. Car is currently driving on Bridgestone Tyres.Lovely car to drive, with great performance and a nice smooth gearbox and engine. PLEASE CALL TO ARRANGE AN APPOINTMENT TO VIEW or for further information. Part Exchanges welcomed. Car will come with Warranty and a Free AA Breakdown/Recovery Policy.